The cornerstone of the building that became Old Main was laid on September 20, 1875. 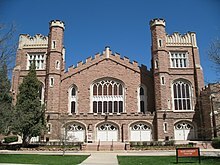 The doors of the university opened on September 5, 1877. At the time, there were few high schools in the state that could adequately prepare students for university work, so in addition to the University, a preparatory school was formed on campus. In the fall of 1877, the student body consisted of 15 students in the college proper and 50 students in the preparatory school. There were 38 men and 27 women, and their ages ranged from 12-23 years. 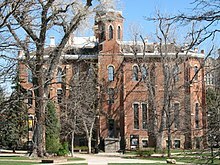 What are the academic rankings for University of Colorado Boulder? 1. number 79 for Academics. 2. number 59 for ROI (Return on Investment). 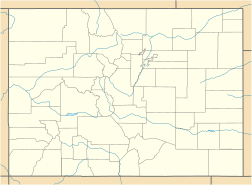 What universities are similar to University of Colorado Boulder?